A new trailer has been released today for Sekiro Shadows Die Twice, the upcoming new game by From Software launching soon on PC and consoles. The new trailer, which can be watched below, focuses on the game’s main character and story. In the aftermath of a gruesome battle, the Owl finds a new apprentice. Winner of “Best of gamescom” and “Best Action Game” at gamescom 2018, Sekiro™: Shadows Die Twice is the next adventure from developer FromSoftware, creators of Bloodborne and the Dark Souls series. Explore late 1500s Sengoku Japan, a brutal period of constant life and death conflict, as you come face-to-face with larger than life foes in a dark and twisted world. Unleash an arsenal of deadly prosthetic tools and powerful ninja abilities while you blend stealth, vertical traversal, and visceral head-to-head combat in a bloody confrontation. 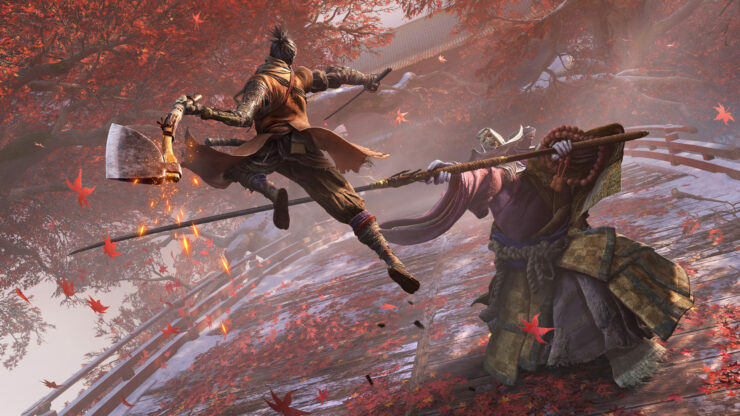 Sekiro Shadows Die Twice will retain many of the features that made the Dark Souls series so engaging, but the game will be much easier to understand, according to director Hidetaka Miyazaki. There’s still going to be this kind of fragmented element to it. You’re still going to have to explore it to a find all the clues and depth for yourself. We feel like it’s not going to change too much in that sense. Our approach to storytelling has not changed. This time we do have the fixed protagonist. We feel like he creates the axes for the main core of the story. The characters, they revolve around him as well. This allows us to frame the story and the settings in a much simpler light than previously. So it’s going to be initially easier to understand and easier to relate to. Sekiro Shadows Die Twice launches on PC, PlayStation 4 and Xbox One on March 22nd.